Meaghan looked through the long glass window to where the cocoons lay sleeping. Hundreds of cocoons rested or hung along rocks, grass, laurels, poplars and leaves. The silk coverings shielded the butterflies ready to burst out. Sprawling trees created shaded spaces where Meaghan determined she would rest once the class was let inside the glass. She could hear the sound of bubbling water from the miniature stream that flowed from tree to tree. "Meaghan, pay attention," the teacher called in her high-pitched, squeaky voice. Mrs. Murphy's square glasses fell to the edge of her nose. written in big letters at the top. "First, we have the Skipper family," she said and pointed to a photograph of a large butterfly with pale, blue-green iridescent wings. The photographer had captured his pointy tail fluttering about. Meaghan looked again through the glass. There was an enclosed blue sky. Sunlight streamed through the trees. "Meaghan," a little girl next to her whispered and nudged her shoulder. "Mrs. Murphy's looking at us." Meaghan looked up again and smiled at her teacher. "The Brushfoot family," Mrs. Murphy was saying, as she continued to point at pictures. 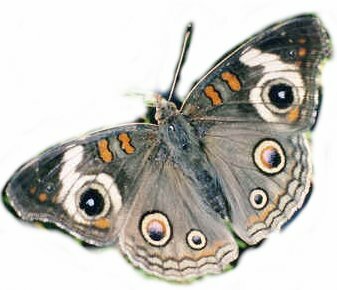 "Admirals, angel wings, painted ladies and..
She gasped at a maroon butterfly with violet-blue stars along wings that were lined by yellow borders. It had sad eyes. Mrs. Murphy scrunched up her face and squinted her eyes as she flipped through a pile of notes in her hand. "Oh yes, that's what they call it...mourning cloak...it's a mourning cloak." The world inside the glass was like summer so that the butterflies would wake. "Hurry, hurry, Mrs. Murphy," Meaghan whispered. "The butterflies are waking!" A cocoon by the window split open. The creature inside peeked out at Meaghan. Its tired eyes and antennae fidgeted in confusion. 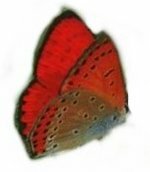 "The Gossamer Wings family includes coppers." 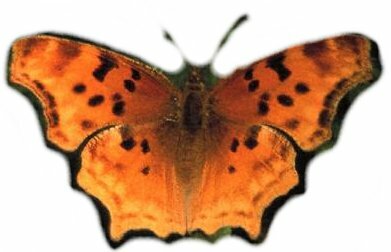 Meaghan looked up at the picture of a red and orange butterfly with dark splotches along its wings and border. 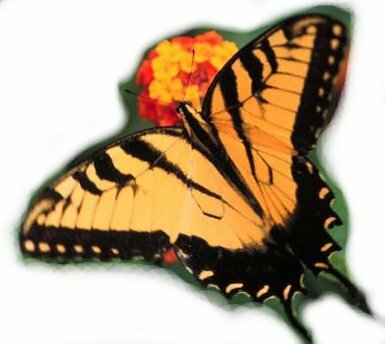 It was the same butterfly who now stared at Meaghan through the glass. An exhibitor called them in and led them through a screen door into the cocoons' world. Cocoons throughout the enclosed forest began to split open. Butterflies emerged. Reds, oranges, yellows, silvery and royal blues - a festival of colors greeted the children as they arrived. Butterflies flew to them and danced around their bodies. More cocoons split open in rapid-fire succession. The newly transformed beings paused for a moment and then joined the flight. 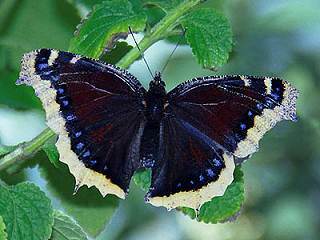 A mourning cloak woke and was lifted up underneath angel wings. 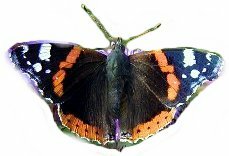 Red admirals danced with painted ladies. 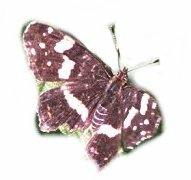 Their white admiral cousins led a troop toward the children in greeting while skippers followed dutifully in the rear. Meaghan looked toward the little copper. The first out had yet to fly. He waited shyly upon his former cocoon, his head ducked beneath his wings. Two little girls took Meaghan by the hand. They twirled in circles as the butterflies joined in, fluttering about their sweaters and touching against their skin. The children laughed in reply. Meaghan looked towards her little copper butterfly. Amidst the trees and the turning she could not see him. She stopped for a moment while the other girls continued to play. She walked through the dance of the wood nymphs - chocolate browns with miniature eyes folded within their crowns - until the old cocoon was again in her sight. The copper peeked his head out at her. 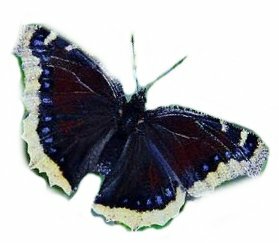 A gentlemanly-looking butterfly with eight blue eyes on his wings flew up to the little fellow and tapped his antennae. Buckeye was his name and he was draped in orange and yellow bands. He chatted quietly with Little Copper who squinted his antennae in attention. Then the copper looked toward Meaghan and flew up into her hair. Buckeye clapped his wings in applause. Meaghan jumped up and down and ran back to the girls with her new butterfly friend. The students formed a circle as the festival of colors played on. Swallowtails, lemon-yellow with black tiger stripes across their wings, performed a ballet at the center of the circle to the rhythm of the flowing stream, while red admirals and painted ladies waltzed around the outside. Royal purple and rainbow-colored wings swooped through the trees and sky. Then Meaghan felt the dance end as children were led to the screen door again. Butterflies tried to follow, but the exhibitors kept them at bay. Meaghan looked back to find Little Copper among the bustle of wings. She could not see him. There were too many butterflies in the air. He was no longer in her hair. She looked at the old split cocoon by the glass. Only Buckeye stood in that place. He waved his wings "goodbye." A tear slipped from Meaghan's eye and she waved her hand in reply. She followed behind the other children, wondering if Little Copper could see her go. Outside the museum, Meaghan sat on a shaded patch of grass eating lunch with the other girls and boys. She had a forlorn look on her face. Once in a while she'd reach down to pick a pretty flowering weed. appeared through the seam, then eyes peeped out and looked up at Meaghan. He flew out of her pocket and lit on one of the flowers Meaghan held in her hand. She laughed and gently stroked the gossamer wings of her butterfly friend. About the Author: Elise Ehrhard's fiction has appeared in numerous print journals, including Taproot Literary Review, Eureka Literary Magazine and New England Writers' Network. Her short stories have also appeared online at New Works Review and EWGPresents. She lives in Washington D.C. Drop a note to Elise Ehrhard and tell her how much you enjoyed reading her tale Meaghan In The Butterfly Museum at Bedtime-Story. 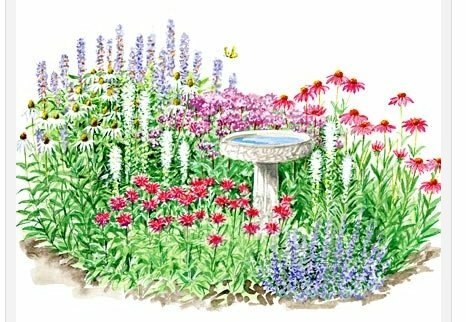 Plant a Butterfly Garden to attract Butterflies to your yard! 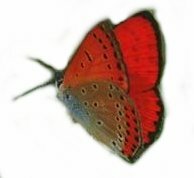 Butterflies need both nectar plants as well as host plants. Nectar plants are a food source for the adult butterflies. Hummingbirds like nectar as well as Butterflies do. 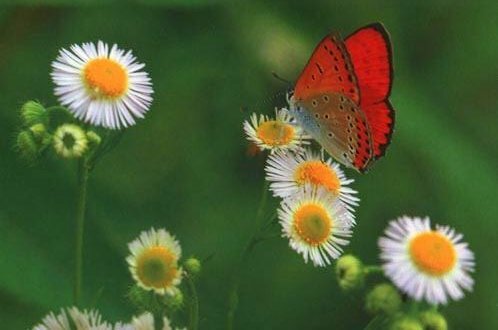 Butterflies prefer a flatter flower than hummingbirds do, however, since Butterflies don't have the long bill of Hummingbirds which allows to to reach deep inside the flower. 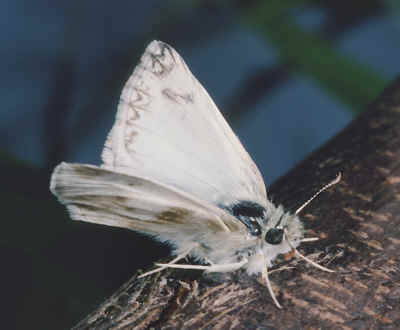 A host plant is one that the adult butterflies will lay eggs on. The hungry baby caterpillars eat the leaves of these plants. 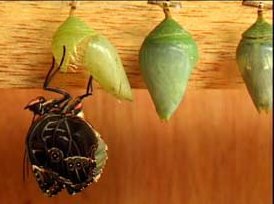 That helps them grow quickly so they can form a cocoon and develop into a butterfly. 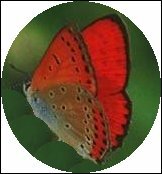 Some species of butterflies are very particular and will only lay eggs on a certain plant, other species are not quite as particular. If you want to attract a particular species of butterfly to your garden, find out both the nectar and host plants that species prefers. Always include a water source for your buterflies. The birds will appreciate the water too! They'll tell you more about host plants and nectar plants.